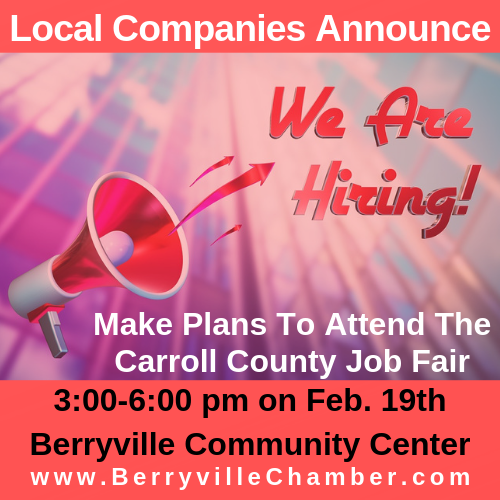 CREATE & PRINT YOUR RESUME FOR FREE: In addition, we're also proud to announce that the staff at the Berryville Public Library has volunteered to assist people who are needing to write and print out a resume. All you have to do is stop into the library during their regular operating hours to get more information, and they'll offer you individualized help with writing your resume and they will also print out copies of your resume for free. Tuesday, Feb. 19th, from 3-6 p.m.